Satellite sport Ukrainian channel. Aired live broadcasts of football matches (English Premier League, Italian Serie a, German Bundesliga, Spanish Primera) live broadcasts of matches in basketball (VTB, Super League, Euroleague ULEB). 10TV is the first channel in the Republic of Moldova created from donations. Joint project of PP Timpul de Dimineață și Acțiunea 2012. Agro TV is the first and only television from Moldova for and about farmers. Armenia 1 TV – state public TV station in Armenia. Broadcasts news, sports, movies. BNT World is Bulgaria's international television channel owned and operated by the Bulgarian National Television. Busuioc TV is a TV channel that broadcasts music videos of the local and Romanian performers. Viewers can congratulate their relatives or friends live, on the telephone, during the TV show. C Music TV broadcasts classical, film soundtrack and chillout music. Canal 3 - Moldovian TV station with generalist themes. Current news from the political, social, economic, sports and film worlds attracts the attention of viewers. DTX is a channel for men who like entertainment in turbo mode. Digi 24 is an independent news television station founded on March 1, 2012 in Bucharest. Discovery Showcase - a channel showcasing popular and documentary films, the nature and the environment, the different social sciences, and the achievement of a man. Duck TV is the television channel for children 0+. It diffuses educational cartoons that can be a help for parents in children's development. Familia Domashniy is a Moldovan TV station with a variety of presentations with the current social themes and new series. Favorit TV is a popular music and light music television in Romania. Television is addressed to all lovers of popular music and light music all over the country, covering all over the country. Феникс+кино is a television channel created in November 2007, intended for a family audience. On the channel you can find highly rated multi-series films and TV shows produced in Ukraine and Russia. Gold TV - moldovan music channel of international music, broadcast 24/7. Gurinel TV is the first children's TV channel in Moldova - a TV channel where every child will find his place. Educational, entertainment and music programs designed for children produced in Moldova. Ictimai TV is a public television channel in Azerbaijan. Following Azerbaijan's win in the Eurovision Song Contest 2011, İTV will host the 2012 competition. JimJam is a television children channel which was launched in 2006 in Italy. MBC - first business channel in Moldova. Minimax is a Central European cartoon channel. Minimax goal is education and non-violence. This is appreciated more by younger children and their parents. Moldova 1 is a national public TV channel of the Republic of Moldova. It broadcasts to all ages in Romanian, Russian, Gagauz and Bulgarian. Moldova 2 is a national public TV channel of the Republic of Moldova. It broadcasts to all ages in Romanian, Russian, Gagauz and Bulgarian. NTV Moldova is a Moldovan TV channel, which includes in its grid talk shows presenting current issues in the Republic of Moldova and series for men. N4 is a channel that broadcasts for everyone, including new and classic films. A collection of information necessary for all and cartoon films for children. News 24 is a 24-hour news channel. News 24's output consists of a mix of live bulletins, documentaries and arts programming. Acasă GOLD is a channel for fans of soap operas, that offers love stories, dreams and aspirations. Pro TV is a private channel that broadcasts serials, movies, TV shows and the most important news from Moldova and the world. Publika TV is a multicultural television, bilingual, with programs in Romanian and Russian, which transmits hourly news and talk shows on political, economic and social development. Rai 3 is an Italian TV Channel. Its programs are typically oriented to information, rather than entertainment, and they look for a qualitative approach, instead of seeking higher TV ratings. RTG International is a travel channel and for travelers. TV shows and films open up the viewers the opportunity to see the most secluded corners of the world. RTVI is an international Russian-language TV channel, that broadcasts in a number of CIS states. Channel broadcasting schedule includes news, reports, talk shows, documentaries and interviews. Romania TV - romanian news channel. Setanta Sports + is an Irish television station that conveys football, basketball, hokey and tennis matches. It also features informative shows about famous people in the sport world. 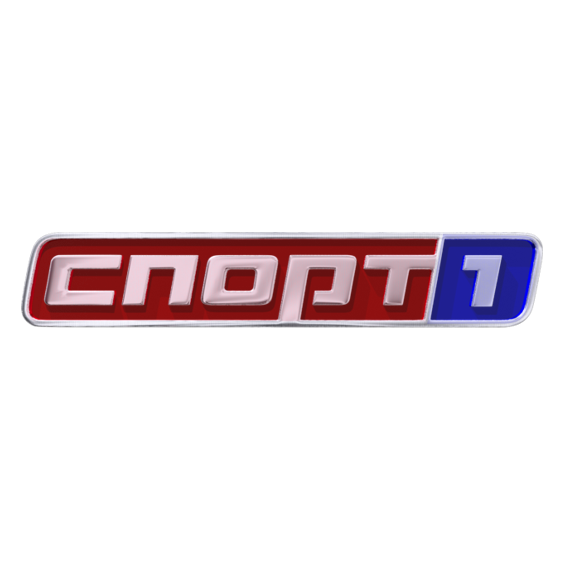 TNT is a Russian federal TV channel, considered one of the five most popular TV channels in Russia. The channel focuses on entertainment, specializing mostly on TV shows and comedy series. TV5 Monde - the fourth channel broadcasting to the world of information and social and entertainment channels, followed by the BBC, CNN and MTV. Some transmission channels are with Russian subtitles. TV8 is a Moldovan TV channel broadcasting in Romanian and Russian. The channel broadcasts analytical, educational and informative programs of its own production and purchased in the EU. TVC 21 is a channel that broadcasts news, reports, programs for children, films and teleshopping in Romanian and Russian. TVH is a TV station in Romania launched in 2002. It is a national post, academic and cultural, which is open to all Romanians, especially for the young people. TVR International is one of public television channels in Romania, TVR broadcasts for Romanians living abroad. This channel transmits news, reports, TV shows for children and films in Romanian. Taraf TV is a Romanian music channel. It broadcasts music videos of the most famous Romanian gipsy singers, party music and interviews. Tisa-1 is a regional Ukrainian-speaking TV channel. Vocea Basarabiei is a Moldovan TV channel that broadcasts documentaries and feature films, as well as informative programs. Zone M is a 24-hour, non-stop music station. Бобер channel is a TV channel about repairs. Not about expensive and complex solutions, but about people and how to paint walls and breathe new life into old furniture, come to happiness and harmony. Время - is a unique historical and biographical channel. Every day, in the broadcast, authors and biographies, programs about legendary people and epochs, Russian and foreign documentary cycles. Дом Кино Премиум - is 24 hours a day of the best Russian cinema; premieres every month; hits of the leading Russian film industries; the most popular serials and lack of advertising. The TV channel "Живи" is a real fitness club in your home, representing the main areas of fitness, oriental dances, as well as programs on healthy lifestyles. ”Иллюзион Плюс” is a Russian film channel that broadcasts foreign films and serials of various genres and styles: comedy, romance, action, fantasy, animation. Киномикс - the channel of thematic shows. In his repertoire are films of various genres: action films, comedies, thrillers, melodramas, horror films, adventures and fantasy and others. Кинохит - the channel of world film hits of different years. Popular foreign cinema with the highest ratings among the audience. Cult films, famous actors and directors, standards of the genre. Sports TV Post, which broadcasts football matches involving Russian Federation teams. ”Russian Illusion” is a Russian film channel. ”Russian Illusion” speaks to his audience that can’t touch, don’t worry, don’t touch the strings of our souls. It is in this once was the Soviet cinema. ”ТК Сарафан” is a Russian channel which broadcasts films, serials, weather and cartoons.